AND are NOT seeking the approval of the Scholars Union of Vanity. not justly to be excepted against;"
The Great Joy in Great Tribulation website, and almost everyone associated with us, in the bible studies, updates, and radio, are KJV Only. KJV Only means different things to different people. As profane, incomplete, and in error as modern Jesuit bibles may be, still more than 80% of the text is the same. Most every KJO saint whom I know, is quick to agree that people can be saved with those corrupted bibles. However, KJO saints just as surely know the growth in faith is limited with such profane corrupt bibles. Growth will be especially limited in terms of deliverance and spiritual warfare. I would be so bold as to say KJV Only people are bible BELIEVERS, who have a Final Authority. AND - The "Anything-But-KJV-Only" people, do not have a final authority, and may often be found to be Unbelievers. Basically what King James Only (KJO) means, and certainly IS what the GJiGT means by the term KJO, is that a Christian uses only the King James Bible for all applications which include preaching, teaching, studying, application to life, counseling, evangelism, literature, letters, writing ministry, deliverance, etc. It has nothing whatsoever to do with worship of the King James Bible. When we continually use the King James Bible, we become very familiar with it, especially its language. good evidence for such an allegedly old date, and much evidence they are NOT that old. Those two manuscripts (MMS) are called Sinaiticus (Aleph) and Vaticanus (B). The proof of age on the Sinaiticus goes back to 1841 and on the Vaticanus to 1481. Yes, they probably are older, but can not really be proven to be so. The King James Translators intentionally used very pure English, (in 1611, English, as a language was in its MOST PURE form in the history of the English language), to keep the Bible distinct from all the other books which were available at the time. It was uncommon special pure, but simple English, which was not what was commonly spoken. They saw the Bible as the Holy Word of God and not just another religious book as the majority of modern Christians see it today. The modern Christian generally has treated the Bible as nothing but a mere common book to be changed whenever they want. This is attested by the fact that since the 1881 Revised Version there have been 218 translations made from the Westcott-Hort Text. For a copyright to be given, there must be sufficient change in the text to warrant it. This means that man has changed the Word of God 218 times since 1881. 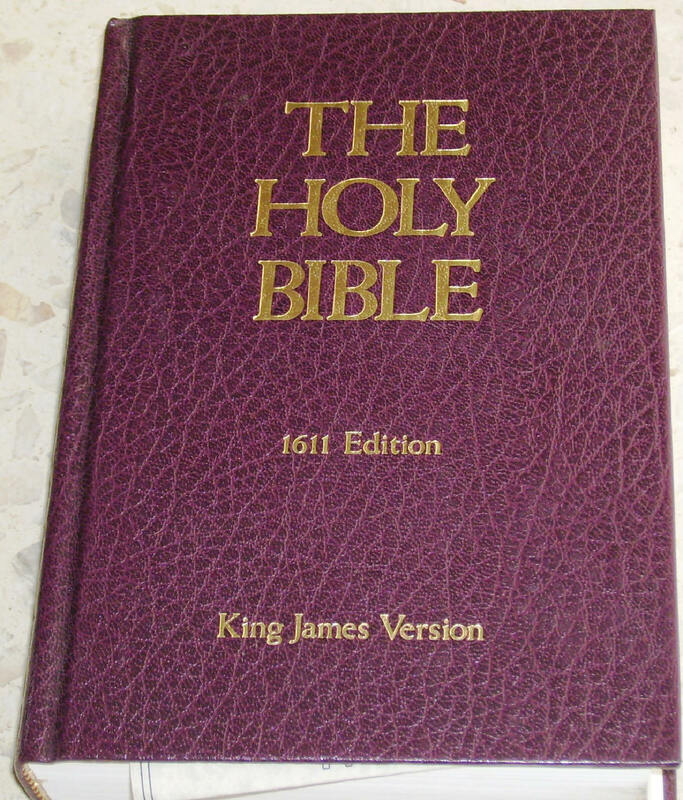 I have a King James Bible that is dated 1825, as well as others that I use printed in 1996, 2007, and 2012. The one I presently use is dated 2007. I want us to look at - Acts 8:37 - And Philip said, If thou believest with all thine heart, thou mayest. And he answered and said, I believe that Jesus Christ is the Son of God. KJV 1825 Published Date - And Philip said, If thou believest with all thine heart, thou mayest. And he answered and said, I believe that Jesus Christ is the Son of God. KJV 1996 Published Date - And Philip said, If thou believest with all thine heart, thou mayest. And he answered and said, I believe that Jesus Christ is the Son of God. KJV 2007 Published Date - And Philip said, If thou believest with all thine heart, thou mayest. And he answered and said, I believe that Jesus Christ is the Son of God. KJV 2012 Published Date - And Philip said, If thou believest with all thine heart, thou mayest. And he answered and said, I believe that Jesus Christ is the Son of God. Do you see any difference? NONE at all between these dates 137 years, from 1825, to 1996, to 2007, and to 2012. At the same time we see the modern versions have changed 233 times. Then we wonder why Christians are confused and cannot hold to stable doctrine. (NKJV) New King James Version copyright 1984 - Then Philip said, "If you believe with all your heart, you may." And he answered and said, "I believe that Jesus Christ is the Son of God." (NASB) New American Standard Bible 1988 - Watch carefully what the New American Standard and other corrupt bibles do. Look for < verse >, [ verse ], and italics or notes. Brackets are used in The New American Standard Bible in < Acts 8:37 >. We should KNOW what those BRACKETS MEAN. Those brackets mean the corrupt Jesuit, occultist, spiritist, Greek Text like the corrupt Westcott - Hort, or other similar codex A codex B based texts, are used by the NASB translators and editors. Can you trust that? Does that build Faith or Doubt regarding the VITAL principles of Acts 8:37? One more thing to consider on changes is the Nestle-Aland Novum Testamentum-Graece has undergone 27 revisions between 1898 and 1979. The United Bible Society Text has undergone 4 revisions between 1966 and 1993. This means that the New Testament texts underlying the modern versions are constantly CHANGING to this day. Unless the Lord returns soon, there will be more manuscript discoveries, which means more translations. It is interesting that the more manuscripts which are found then the more they will be used to produce more modern versions. The Modern versions push confusion, uncertainty, doubt, and fragment the Body of Christ. It is laughable how they say the modern versions are supposed to make things easier. I do not back away or become intimidated when "Anything-But-KJV" advocates denigrate KJO with scoffing and scorn. I will stand upon the more sure word of God and if the Holy Ghost says Cry Aloud, or refute their Lies and Rebuke them, that is what I have decided to do. There is no question that the two main manuscripts, which underlie all the modern versions have been corrupted repeatedly. Let us look very briefly at the characteristics of Vaticanus and Sinaiticus, which are the darlings of the modern bible editor, or textual critic, or so-called scholar. Dr. John Burgon, in his great classic work "The Revision Revised", written in 1883, says on page 11; "Vaticanus and Aleph have within the last 20 years established a tyrannical ascendance over the imagination of the Critics, which can only be fitly spoken of as a BLIND SUPERSTITION. 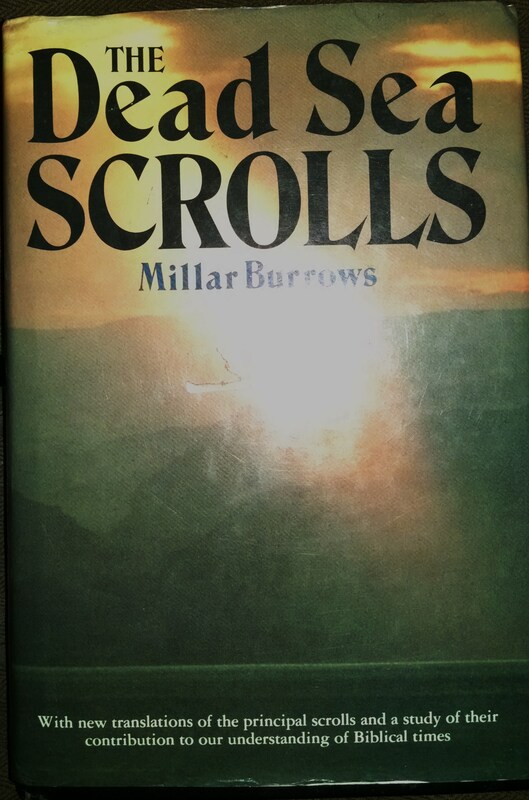 It matters nothing that they are discovered on careful scrutiny to DIFFER ESSENTIALLY, not only from ninety-nine out of a hundred of the whole body of extant MSS. besides, but even from one another. In the gospels alone B (Vaticanus) is found to omit at least 2877 words: to add 536, to substitute, 935; to transpose, 2098: to modify 1132 (in all 7578): - the corresponding figures for Aleph (Sinaiticus) being 3455 omitted, 839 added, 1114 substituted, 2299 transposed, 1265 modified (in all 8972). And be it remembered that the omissions, additions, substitutions, transpositions, and modifications, are by no means the same in both. It is in fact easier to find two consecutive verses in which these two mss differ the one from the other, than two consecutive verses in which they entirely agree." On page 319 of The Revision Revised he writes, "In the Gospels alone Vaticanus has 589 readings quite peculiar to itself, affecting 858 words while Aleph has 1460 such readings, affecting 2640 words." Burgon went on to say. "We suspect that these two Manuscripts are indebted for their preservation, solely to their ascertained evil character, which has occasioned that the one eventually found its way, four centuries ago, to a forgotten shelf in the Vatican library; while the other, after exercising the ingenuity of several generations of critical Correctors, eventually (viz. in A.D. 1844) got deposited in the waste-paper basket of the Convent at the foot of mount Sinai. Had B and Aleph been copies of average purity, they must long since have shared the inevitable fate of books which are freely used and highly prized; namely, they would have fallen into decadence and disappeared from sight. but NO Changes of any of the Words. KJV Editions Yes, KJV Revisions NO. Should Scholars not know the difference between Editions & REVISIONS? NO REVISIONS in the 400 year history of the good fruit of the KJV. Jim would say to those so-called “scholars” using and appealing to Sinaiticus and/or Vaticanus based Greek Tests are NOT good scholars. Rather they have been DECEIVED. Rom 1:22 - Professing themselves to be wise, they became fools. or exclude readings from one or the other. 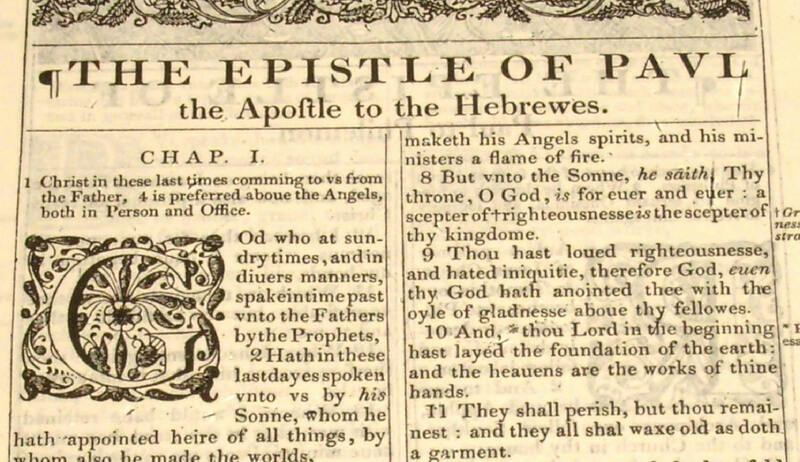 Yes the 1611 KJV contained the Apocrypha. However, it was grouped in a special NOT SCRIPTURE section. Apocrypha Means UNKNOWN Origin Therefore by Definition NOT Scripture. false doctrines, pagan practices, and heresies. on both sides of that is 4 times on every page of Apocrypha section. The major characteristic of this manuscript is that it is such a MESS. There is nothing that could compare with the so-called Sinaiticus Manuscript A, or Aleph, as far as being MESSED UP is concerned. Sinaiticus has over 23,000 errors and corrections, one gigantic mess. It is the most messy thing every called a great, important, or valuable manuscript. It was supposedly unknown until discovered by famous Jesuit agent Tischendorf in the middle of the 19th century. It can not be positively dated beyond the 19th century and so-called scholars who say it is the oldest bible from the 4th Century have become fools with such proclamations. Sinaiticus has mistakes, erasures, sentences written on top of other sentences and many many words are omitted. It contains nearly all the New Testament. However, it ALSO contains the Apocryphal Books, which by definition are NOT Scripture, woven into the text. It also has two other false spurious books, “The Shepherd of Hermes” and “The Epistle of Barnabas.” To say Sinaiticus is the oldest bible is NOT a statement of scholarship, but rather a statement of such monumental ignorance that it boarders on stupidity, or someone on the Jesuit under-the-table payroll. Every page contains about 30 corrections and revisions by at least ten different people. With so many revisions and corrections done to this manuscript, it is TOTALLY WORTHLESS and it is totally RIDICULOUS to refer to it as a Bible. Its discoverer and thief, claimed that he found it in a garbage can, and laid hold of it and walked out of St. Catherine’s Monastery with it in 1844. Yes, that is STEALING. Yes that is the written testimony of Tischendorf. The manuscript was so bad, and Tischendorf tried to give the impression that the monks were going to burn the manuscript just for heat. The monks at St. Catherine’s monastery categorically deny Tischendorf’s account and to this day remain quite upset regarding the fraud and theft. Sinaiticus also omits Mark 16:9-20. SINAITICUS (Aleph) completely omits the following verses while they are found in Vaticanus. Matthew 24:35 - "Heaven and earth shall pass away, but my words shall not pass away"; Luke 10:32 - "And likewise a Levite, when he was at the place, came and looked on him, and passed by on the other side. "; 17:35 - "Two men shall be in the field; the one shall be taken, and the other left. "; John 9:38 - "And he said, Lord, I believe. And he worshipped Him. 16:15 - "All things that the Father hath are mine: therefore said I, that he shall take of mine, and shall shew it unto you. "; 21:25 - "And there are also many other things which Jesus did, the which, if they should be written every one, I suppose that even the world itself could not contain the books that should be written. Amen. "; and I Corinthians 2:15- "But he that is spiritual judgeth all things, yet he himself is judged of no man." and 13:1b -2 - "I am become as sounding brass, or a tinkling cymbal. And though I have the gift of prophecy, and understand all mysteries, and all knowedge; and though I have all faith, so that I could remove mountains, and have not - (charity, I am nothing)." There are many sections and even whole books missing from the Old Testament. Aleph - Sinaiticus - written more than 200 years after the completion of the New Testament. It omits Genesis 23:19-24:46, Numbers 5:27-7:20, 1 Chronicles 9:27-19:17, all of Exodus, Joshua, 1 and 2 Samuel, 1 and 2 Kings, Hosea, Amos, Micah, Ezekiel, Daniel and Judges. It contains Apocripha woven into the Old Testament and two spurious heretical books added in the New Testament - It would be error and NOT good scholarship to call such corruption a bible, or God forbid, a Holy Bible. The Vaticanus manuscript was found in the Vatican library in 1481. The King James Translators REJECTED IT, because it was very corrupt and unreliable. Erasmus also rejected and could quickly identify the corruption. The following portions of Scripture are missing from the Vaticanus: Genesis 1:1-46; 23:19-24:46, 28; Psalms 106-138; Matthew 16:2-3; Mark 16:9-20; The Pastoral Epistles (1 & 2 Timothy and Titus); Hebrews 9:14-13:25 and all of the book of Revelation. These were intentional omissions because the manuscript was found in excellent condition with no pieces missing. In the Gospels it leaves out 237 words, 452 clauses, and 748 whole sentences. These omissions were intentional since there was room left on pages to write these in. The Vaticanus manuscript was written on expensive Vellum and was in good condition when found which means that the missing areas were not due to missing sections but intentional omission. The manuscripts behind the King James Bible were already in a purified state when it came time to translate. The person behind the beginning of the manuscript series leading up to the King James was Desiderius Erasmus. Erasmus was greatly used by God to begin the process leading to the PROMISED every single word Perfect Holy Bible. Erasmus was eminently qualified to begin the necessary work in that collation and final purification of the manuscripts which would come to be known as the Textus Receptus in 1633. The Textus Receptus was used by the translators of the KJV but the Textus Receptus name came 22 years after the publication of the King James Bible. Erasmus was a critic of the Latin Vulgate of Jerome, which was based upon the same errors of the Vaticanus manuscript. Erasmus knew that Jerome used that manuscript and how unreliable it was. That is why Erasmus rejected it. As early as 1505 he published a Latin New Testament. which was from the Old Latin Vulgate (90-150 A.D.) and not to be confused with Jerome’s corrupt Latin Vulgate. One of the manuscripts which Erasmus used was the Byzantine text which came into usage about 400 A.D. in the Byzantine church until the fall of Constantinople in 1453, when Europe finally got so many good quality Greek manuscripts not controlled and corrupted by Vatican Roma. Erasmus began to collate the texts and published his first edition in 1516 with his Latin translation alongside. He then revised his 1516 edition in 1519 printing a second edition. He then printed a third edition in 1522, his fourth edition in 1527, and his fifth and final edition in 1535. After the death of Erasmus, another FAITHFUL scholar named Robert Stephanus continued the purification of the text of Erasmus. He printed his first edition in 1546. He printed his second edition in 1549, his third edition in 1550, and fourth edition in 1551. After the editions of Stephanus, the purifications of the text continued. Theodore Beza printed 10 editions of the Greek. He printed them in 1565, 1582, 1588, 1598. The fifth to the tenth printings were smaller reprints of the first four editions. The FIRST Erasmus Greek New Testament is NOT the Textus Receptus nor the primary Greek text used in the KJV. It was the 1550 and 1551 edition of the Stephanus text and the 1598 Beza text, which became the primary texts for the King James Version. None of these texts were corrupted in transmission, because God promised to keep and preserve His Word. And you see that this is what the so-called scholars NEVER want to talk about - THE PROMISE OF GOD. The Lord Jesus stated that not one jot or tittle would pass from the law till all be fulfilled and that is right up to the book of Revelation. If you compare the pure texts underlying the King James to the corrupted Vaticanus and Sinaiticus, you will instantly know why so many verses and phrases are omitted, or chopped up in those two corrupt MSS. God preserved His Word through the Middle Ages with the Byzantine Greek text and the Waldensian OLD Latin Bible, for which they were mercilessly persecuted by Rome. The King James Bible is totally free of any Roman Catholic works by the Mother Harlot's counter reformation agents. The Vaticanus, Codex B, was found in the Vatican Library in 1481, and the Sinaiticus was found in a garbage can in St. Catherine’s Monastery in 1841. We see in them the texts underlying the modern versions. I sometimes wonder if other BELIEVERS do not think it strange that the United Bible Society and the Nestle Aland Novum Testamentum-Graece had a man on the editorial committees named Carlo Montini, who was a Jesuit Cardinal. AND Another man named Alberto Ablondi, who was the Bishop of Livorno, Italy, was a member of the General Committee, and European Regional Executive Committee of the United Bible Society. ARE THEY UNITED WITH ROME'S JESUITS IN TAKING THE WORD OF GOD AWAY FROM THE PEOPLE? Roman Catholic Bishop Ablondi's own view of “interconfessional translation” projects is that they are “one of the important advancements of post-Vatican II Ecumenism - an important step toward unity.” UNITY WITH THE ANTICHRIST MOTHER OF HARLOTS??? Call it what it is - the great Apostasy, the great falling away from THE Faith. The modern versions are oppressive with Roman Catholic influence as the modern versions follow the corrupted Latin Vulgate of Jerome. Not one of the King James Translators were Roman Catholic, and not one manuscript used had any Roman Catholic corruptions. The King James Bible is the preserved Word of God and did not suffer any textual corruption as God preserved it, as he said He would. THE PROMISE OF GOD GIVES AN EVERY WORD PERFECT HOLY BIBLE. BE SURE YOU KNOW WHICH ONE THAT IS AND WHY - The words of the LORD are pure words: as silver tried in a furnace of earth, purified seven times. Thou shalt keep them, O LORD, thou shalt preserve them from this generation for ever. Psa 12:6-7 One simply can not effectively teach the principles and tactics of deliverance and spiritual warfare from any bible subsequent to the 1611 KJV. What is missing from the work on every so-called bible since then is superintendence of THE HOLY SPIRIT. BOTH Westcott and Hort were OCCULTISTS, spiritualists, and very strong believers in evolution. They held Darwin's books in higher esteem than the SCRIPTURES. They began the mystical model of Christianity invasion of the churches. They have been called the fathers of the modern channeling movement. In stunning contrast, the King James Translators were all godly men, and were among the greatest linguistic geniuses of all time. They were all men of good report, APT to teach, known for their genuine faith. However, they came from the polar extremes of liturgy, from the VERY Formal high church Anglicans to the Sola Scriptura everything plain, nothing fancy, Puritans. They did not necessarily trust each other when the 7 year translating work began. EVERY SINGLE WORD IN THE KJV WAS APPROVED BY EVERY SINGLE ONE OF THOSE LINGUISTIC GENIUS, PIOUS MEN OF FAITH, 14 TIMES. YES, EVERY WORD, UNANIMOUS, FOURTEEN TIMES. This is so important to everyone that it must be said clearly and boldly, that IF you are not KJO, you have NOT studied to be approved unto God on this very important subject. If you are not KJO you may well be approved by the majority, or even the scholar's union - who go about professing themselves to be wise, but as Rom 1:22 says, and we can see, they became fools. There was not an occultist among the 50 apt to teach linguistic geniuses that King James assembled for the work. They were ALL highly educated in the Greek and Hebrew and Latin languages. If you have not checked out the character and qualifications of the King James Translators you really should. You will see right away the difference. At least read the KJV “The Translators To The Reader” 1611 KJV INTRODUCTION where you will see things like how they never thought from the beginning, that "we should neede to make a new Translation, nor yet to make of a bad one a good one, but to make a good one better, or out of many good ones, one principall good one, not justly to be excepted against; that hath bene our indeavour, that our marke. To that purpose there were many chosen, that were greater in other mens eyes then in their owne, and that sought the truth rather then their own praise." KJV - ONE PRINCIPAL GOOD ONE - NOT JUSTLY TO BE EXCEPTED AGAINST - By now the "Anything-But-KJV" crowd should be running from such a sinking ship. God promised an EVERY WORD PERFECT Holy Bible and God kept that promise. (AMP) The grace of our Lord Jesus Christ (the Messiah) be with you all. Amen (so be it). Romans 16:24 certainly is in the King James Version, but missing in those six modern versions. In the NASV and HCSB it is bracketed. In the CEV it is omitted but replaced with verse 23. In the Amplified Version it is in italics. When you look at this potpourri of translations, you can gain an understanding of the confusion that all these modern versions can engender. One will ask, why it is omitted in their version, and another will ask, why it is in brackets, and another, what are “the oldest and best manuscripts?” By the way Romans 16:24 is omitted in the NAB- Roman Catholic and NWT-Jehovah’s Witness bibles. 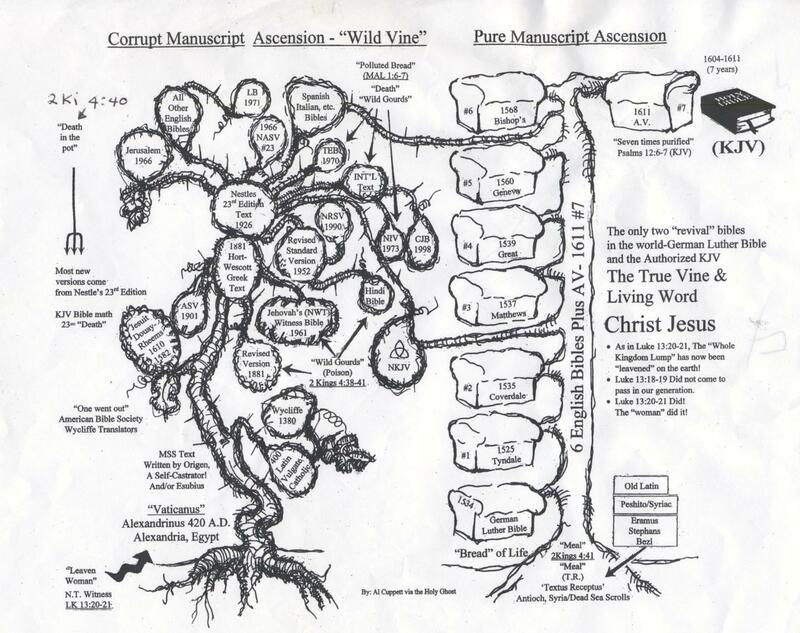 This means the NIV, NLT, ESV, NCV, RSV, and THE MESSAGE are as accurate as the Jehovah’s Witness and Roman Catholic Versions or are they as corrupt as the Jehovah’s Witness and Roman Catholic Versions? While Christians stagnate always trying to find a new version that fits them, they do not realize they have been hindered in their spiritual growth. Those of us who use the King James Bible do not stagnate because it promotes progression in the Bible study thus promoting growth. If Muslims look at the modern versions they can rightly claim that the Bible has been tampered with. If Muslims look at the true Bible, the King James, and its forerunners they do not have a leg to stand on. Christians who attempt to debate Muslims with a modern version bible have already lost the fight before it even begins. Muslims are sure to be quick to proclaim how silly that Christians are with their different bibles, and even more quick to tell you there could never be different Korans. If inspiration is true, and it is, then preservation must even more-so be true. Inspiration is when the authors penned the Holy Scriptures in the original writings under the inspiration of the Holy Spirit. Preservation is when those very words were copied and recopied for future generations. English translations are not inspired in the same way the original manuscripts were. What we have in the King James Bible today is the preserved Word of God and we will see how well preserved it is in the following examples. The King James has a pure, uncorrupted lineage going back closer to the original Manuscripts. God preserved His true Word in that line and by the time of 1604 came, and the beginning of the translation of the King James Bible, the manuscripts were ready to be translated, which resulted in a pure Bible. The King James readings pre-date the Vaticanus and Sinaiticus manuscripts behind the modern versions, which means that the oldest and best manuscripts ACTUALLY SUPPORTS the King James Bible and not the modern versions. Truly the modern versions are a thing of wickedness. By now I hope you see clearly some good reasons why I am a King James Only bible BELIEVER! (Psa 101:3 KJV) I will set no wicked thing before mine eyes: I hate the work of them that turn aside; it shall not cleave to me. The Watch Tower Society base their Interlinear Translation of the Greek Scriptures on Westcott and Hort’s text which uses almost exclusively two Greek manuscripts: the Siniaticus and the Vaticanus. These are the two manuscripts that all modern, up-to-date, easy to read, bibles are based upon. Get your translation out and look it up. John 8:1-11 may be there because most translators are not honest, but if you look at the foot note at the bottom of the page it will tell you that those verses are not in the “oldest and best manuscripts”. There is a lot of money in the sale of Bibles, and they know that you would not buy it if they just eliminated those eleven verses so they are being disingenuous about it. The Greek manuscripts that Westcott and Hort used to form their own Greek text were Vaticanus (found in the Vatican library in 1481) and which today still resides in the Vatican hence its name, VATICANUS and the SINAITICUS. Sinaticus was found in St Catherine’s monastery on the EGYPTIAN, not biblical, Mount Sinai. Tischendorf claimed that he found Sinaiaticus it in a wastepaper basket back in 1859. The gentle self-effacing Monks at that monastery to this day, claim Tischendorf was a liar and a thief, who stole the manuscript from them. Tischendorf was a good Latin scholar, but a poor Greek scholar. Some say he was lost in Greek without a parallel Latin - Greek bible. He was very friendly with the pope and the highest of Jesuits in Vatican Roma. The table gives the approximate number and percent of each type of Greek manuscript that supports the Westcott and Hort Greek Text, as well as the number and percent of each class that supports the Textus Receptus Greek text. These approximations are taken from the careful research of Dr. Jack Moorman in his book Forever Settled. Both of these manuscripts are from Alexandria Egypt and they are both from the same original. These two manuscripts are the supposed “oldest and best” that all modern members in good standing of the self-proclaimed and Jesuit infiltrated seminary professors of the Scholars Union use. These two manuscripts are the ones referred to in the footnotes of the now over 200 dishonest bible versions. Two manuscripts, Vaticanus and Siniaticus, are the main texts that are used in compiling all New Greek biblical texts. A list includes: Griesbach 1774 – 1775, Lachmann 1831 – 1850, Tishendorf 1841 – 1872, Tregelles 1856 – 1872, Alford 1862 – 1871, Westcott and Hort 1881 – 1903, Weymouth 1886, Weiss 1902, Nestle 1904. All modern Greek New Testaments are eclectic meaning that editors choose for themselves from extant (existing) manuscripts what they think should be included in their Greek New Testaments and what they should delete. All eclectic criticizers of the Word of God should study Rev 22:18-19. So, when someone tells you they are using THE Greek text to correct a bible translation, tell them there is no such thing as “THE GREEK TEXT.” There are good Greek Texts like the Textus Receptus, Beza, Stephanus, and Bamba and bad ones as named above by Griesback, Lachmann, Tishendorf, Tregelles, Alfor, Westcott and Hort, Weymouth, Weiss, and Nestle Aland. Shortly after the turn of the twentieth century, the British and foreign Bible Society published a Greek text of the New Testament based upon the work of Eberhard Nestle. Nestle’s text, in turn, was based upon Tishendorf’s eighth edition of 1869 – 1872, Westcott and Hort’s Greek New Testament of 1881, and The Weiss edition of 1902. Since then, the Nestle text has undergone twenty-six revisions and is presently in its twenty-seventh REVISION which changes the WORDS. Later in the twentieth century, Kurt Aland became co-editor and this Greek text is now called the Nestle-Aland Text. There are many Greek manuscripts, some good and some not so good, and some even bad to evil. None of them agree with each other in the no good department. It is much more difficult for the Greek language person to know if they have the right translation. For the English speaker who would study to be approved unto God there is only one, THE Bible, the KJV Holy Bible. Jesus said you will know them by their fruits and most of the fruit of the twentieth century has been rotten. Christian values have effectively been destroyed since the advent of the Modern Bibles, which depart from the Textus Receptus. Today, there are two camps one apostate, the other are Bible believers. Both Bible BELIEVERS and Bible UNbelievers, both have opposite views on the identity of the New Testament Greek text to be used in translating the Bible. The one camp [KJV] uses the Textus Receptus, also called the Received Text, or the Byzantine Text. The Textus Receptus and KJV Holy Bible generally follows the large majority of the MSS, over 95% of which are in essential agreement among themselves. However, sadly today, Bible BELIEVERS are vastly outnumbered by bible UNbelievers. Sadly, Jesuit inspired, infiltrated, controlled, and bribed people have been in control of the worldwide bible scholars union for the last 100 years. The Textus Receptus is the Greek text that agrees with over five thousand Greek manuscripts, and other ancient texts that range from just a couple verses on a scrap piece of material, to the writings of the early church fathers, and lectionaries. There are manuscripts from all over the world. There are about 5,255 extant manuscripts: 81 Papyri: 267 Unicals [capital letters]; 2,764 Cursive or Minuscules [lower case letters]; and 2,143 Lexionaries. Of these manuscripts, the overwhelming majority over 95% support the Traditional Received Greek Text.That is the main Greek manuscript from which the KJV is translated. The King James Bible is the ONLY Bible in use today that relies on the Textus Receptus! The ONLY one. No one has updated that Bible into modern language. IT is the most PURE form of the English language since English became a language. There is the New King James and a few others that claim they do, but such claims are NOT true. Such claims can not be proved and are deceptive on purpose, because they use an Alexandrian text in the footnotes and subtly in the text itself. Only the KJV Holy Bible alone stands essentially as translated. Some will disagree, but check out the actual changes, and you will see that they are minor, such as spelling, and font selection. There have been many editions since the 1611 KJV but NO REVISIONS. Jesus Christ whose name is called the Word of God, Is the One Who is the SAME, yesterday, today, and forever.